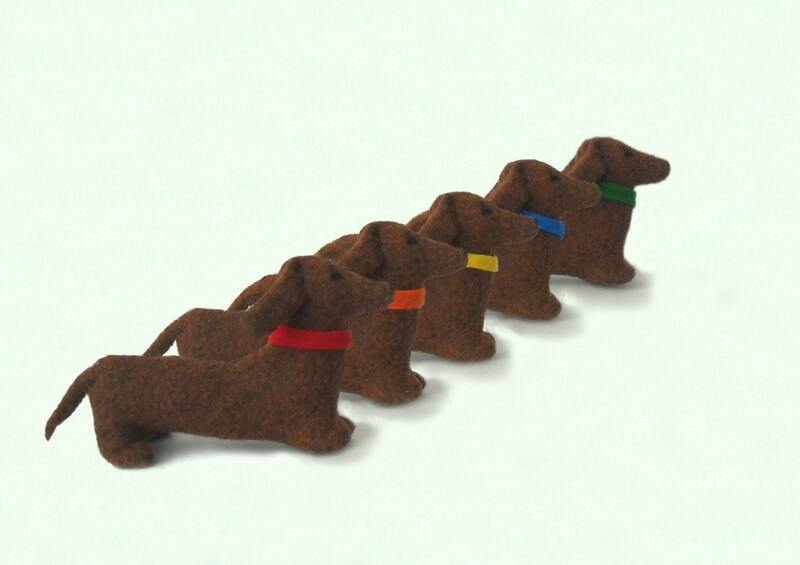 A belated Easter present arrived today ~ a bag of mini dachshunds! Rowan is happily engaged in play with her puppies at a 'beach party' in the upstairs hall. Doxies by Sweet Little Birdie on Etsy.